Well, to quote Mr Cuelho once more, “I’m an adventurer, looking for treasure”, and the treasure I seek is music, not any old music but music that can move you and stir your soul, music that can ask questions and then answer them with amazing clarity. If I can take some liberty with the original quote, maybe you are a victim of the world if you have to listen to the dirge that is anodyne, bubblegum chart music. This is music that is only ever created for commercial gain and not for passion or just because it can be brought to life and it is anathema to me. It can take a while to unearth a true gem and, on a recent short hospital stay, I had an interesting conversation that became somewhat an analogy of my musical treasure hunts. While laid on the hospital bed I struck up a conversation with the gentleman opposite who just happened to be an avid metal detector devotee who would spend hours on a cold and frosty day criss-crossing fields searching for that elusive big find. While never unearthing anything of large value himself he went on to avail me of the many great finds that his fellow detectorists had come across and, while having the interminable wait of any hospital visit, I came to see how it actually coincided with how I will listen to hundreds of albums to find that one peach of a listen. Well, my friends, my travails of 2016 haven’t taken long to reveal an early musical gem, Profuna Ocean’s ‘In Vacuum’ and what a jewel it is! 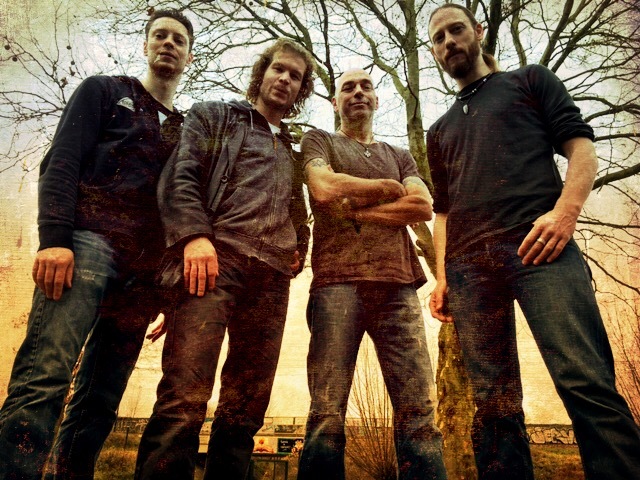 Or so says the PR material that came with the album, the band consists of Fred den Hartog (drums), Raoul Potters (vocals, guitars), Arjan Visser (bass guitar) and René Visser (keyboards) and they self released their first album ‘Watching the Closing Sky’ in 2009. 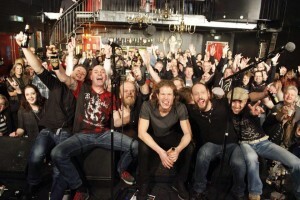 ‘In Vacuum’ was released through Freia Music and sees the band refining and redefining their own unique sound. To be fair, I was blown away on first listen as an imposing riff awash with heavy guitar and swirling keyboards introduces Thousand Yard Stare with no unnecessary frippery. This then breaks into a stylish melodic section with nicely harmonised vocals a la Steven Wilson before thundering into a dynamic chorus where the keys and flared out guitar take centre stage again. The music grabs you from the start and Raoul’s dulcet tones are perfectly matched, whether playing the melodious troubadour or hard-edged rocker. Throw in an aggressive, hard rock infused solo and some almost deviantly classy instrumental sub-sections and you are left mightily sated by this excellent album opener. The question is, can the rest of the album keep up the incredibly high standard? 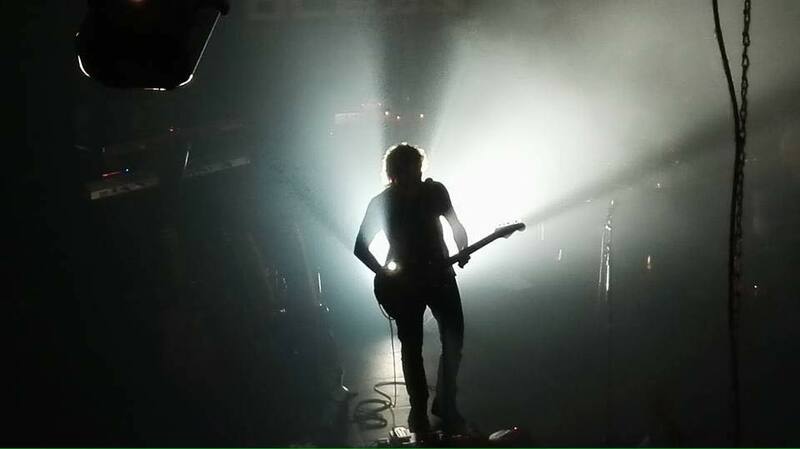 I find myself transported back to the grunge days of the early 1990’s with the fuzzy guitar and dynamic drums that open Awakening, a really upbeat and aggressive track where the vocal gives it an edgy feel. The melody is really catchy as it dances across your mind and the staccato riff that underpins the verse has you up on your metaphorical toes. I really enjoyed the nostalgic feel of Nirvana and Pearl Jam that emanates from every note, although this track has more smile and less frown at its core. Hanging in the Balance has a feel of alternative rock to it, the pensive introduction is all guitars and keyboards before a halting vocal takes over, a touch of early Foo Fighters perhaps? Although the chorus seems to come straight from the 80’s with the harmonised vocal and elegant keyboards. There is an undercurrent of intensity running throughout as the drums drive this energetic track along. Raoul Potters shows he has an incredible variety to his vocal delivery, his voice perfectly matched to the individual feel of every song. There is a polished note to the delivery and the mix, mastering and production without it losing any emotion or feeling. 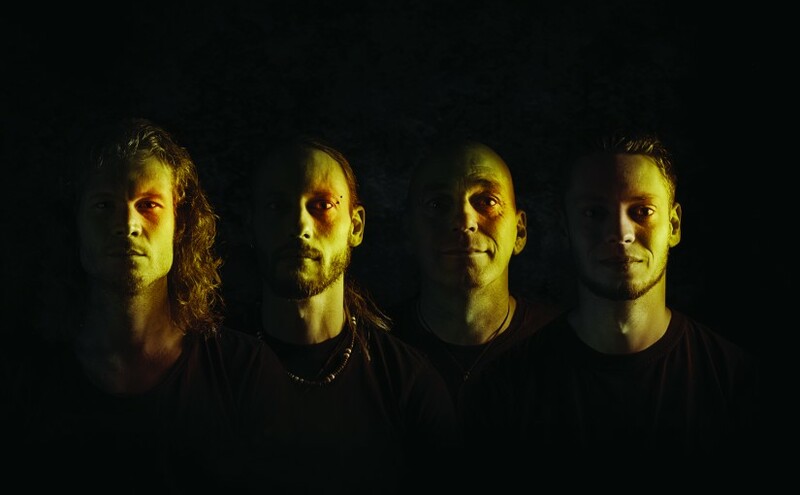 The instrumental interlude in the middle of the track builds in intensity, keeping you on the edge of your seat as you await the next step, a trance-like section that evokes the feelsome progressive rock of bands like Riverside, Votum and Vly. The skill of these accomplished musicians has to be heard to be appreciated as they take you on a sonorous journey through your mind punctuated by perfect chords and notes. This track then seems to segue into yet another direction and style, one inhabited by the giants of progressive and symphonic metal, punctuated by soaring guitar runs and stuttering riffs before coming back full circle to finish on the sharp guitar and keyboard tones of the introduction. Losing Ground is sassy, sharp and smart from beginning to end with a funky guitar riff and polished drums leading the chase. This then opens up into a harder-edge chorus where the vocals, guitars and keyboards swell up and hit you hard before that snappy verse grabs your attention once again. These guys know how to take influences from all sorts of genres and mould them into a cohesive whole, one that is definitively Profuna Ocean and the surprises come thick and fast as they bounce around like a pinball machine. It never gets dull and always feels fresh and innovative, you need more than one listen to pick up every nuance and snippet that is included and you never stop smiling or nodding in acknowledgement at what the band have created and delivered for our delectation. Thunderous guitars, powerful drumming, swathes of elegant keyboards and the ever present bass combine to knock you over with a sonic boom of immense proportions, you just laugh, pick yourself up and return for another helping…. Turn down the intensity a few notches and enjoy the lush tones of Ghost. Earnest vocals and a delicate guitar note pluck at your heartstrings as this delightful track soothes your soul and allows a peaceful interlude from the high energy excitement of what has preceded it. I found myself rapt in attention as each note danced across my aural receptors. This track has a grace and tenderness deep at its heart and leaves you in a state of ethereal calm, quite beautiful. This release has impressed me at every turn but the highlight for me is the next track, the magnificent Beautiful Sunrise. It begins with a seriously compelling and dominant riff that rides roughshod over everything in its path, attention grabbing all the way, underscored by a mysterious feeling keyboard tone. Now you have taken notice it pulls back into an absorbing piece of music that wouldn’t be amiss on any of the classic Porcupine Tree albums. Slightly halting vocals on the verse, accompanied by intricate instrumentation, followed by a captivating chorus with lush harmonies and music, all intelligently produced and delivered. This is musical education, you feel that your whole life and being is enriched by every listen, I must have put this track on repeat for 4 or 5 plays deducing every slight insight and gradation as the brilliant keyboards take centre stage before the track graduates into an sophisticated and inventive instrumental section dominated by a dexterous guitar solo. This is where the band’s creativity really takes flight and leaves you slack jawed. I’m sure that Profuna Ocean will admit readily to their influences, as would most bands, but it’s what you do with them that counts. As the song comes to a close it goes a bit psychedelic on you for a minute before it confidently strides off into the distance, satisfied in a job well done. The title track In Vacuum is a dramatic, cinematic instrumental that holds your attention as this great release moves into its final phase and track Clean Slate which opens with a seriously addictive toe-tapping riff and confident drums, Raoul’s vocals are precise and determinate though the verse before they deliver a heartfelt and compelling tone to the chorus. Grunge, alternative rock, progressive rock, hard rock, you name it, they are all thrown into the crucible and melted down to deliver Profuna Ocean’s signature sound. 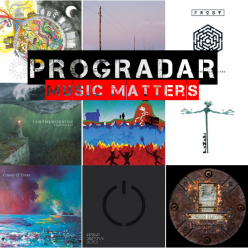 The influential guitar break and dreamlike synth section, once again, paint a precise picture in your mind as this innovative band continue to inventively mix their musical metaphors to perfection and with superb results. At times it wanders off into a more relaxed vista but it isn’t long before the hard-riffing guitars come and grab the track by the scruff of the neck and set it back on its obdurate trajectory once again. It’s like having four musical seasons in one song but ones that dovetail perfectly to deliver an experience that leads you to the water to drink time and time again. As the song and album come to a close there is another fantastic piece of guitar work that makes the hairs on the back of your neck stand up before everything starts to slow down and a plaintive piano note runs things out to the final note. So we are only in January and I have had a proliferation of great music land at Progradar Towers already. 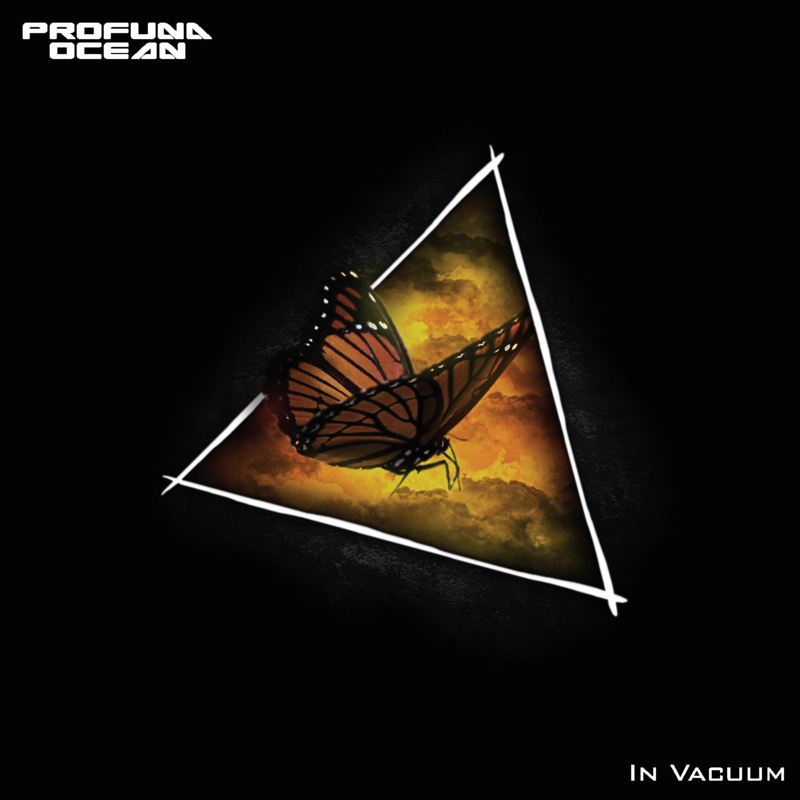 There have been some absolutely dazzling releases but, for this music writer, the best of the lot has been Profuna Ocean. A more hard-edged and aggressive take on Progressive Rock but one with a beautiful fragility hidden below. A brilliant start to the year, this is one release that could possibly have been my album of the year if it had surfaced in 2015, as it is, it will take something rather fantastic to top it now! Released 8th January via Freia Music.